an unusually dark (and scary) view of an often very bright and crowded area. 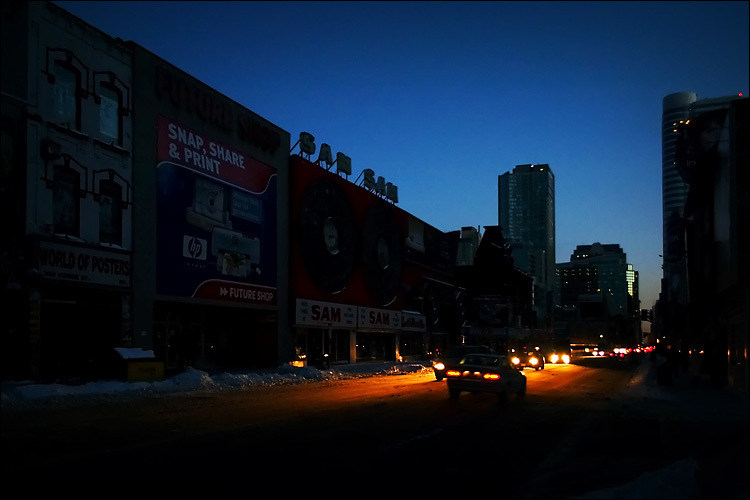 downtown toronto suffered a blackout yesterday and we had no power or water for most of the day. 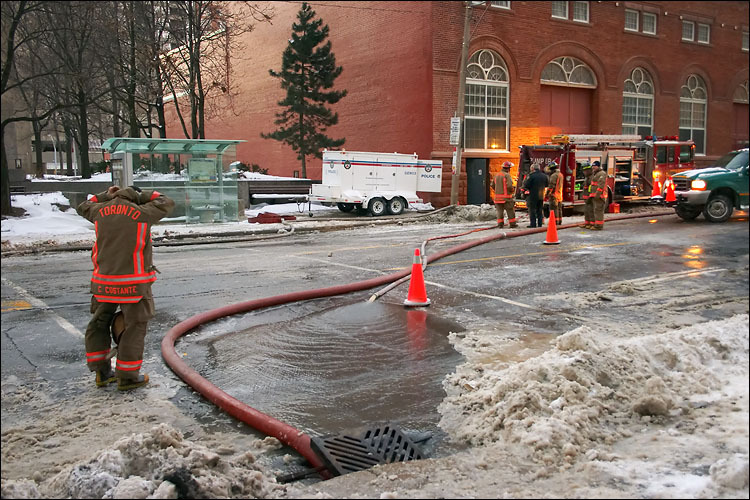 power was shut off before 9am after the water main caused flooding at the underground hydro vault on bay st. south of dundas (one block south of where i live) and blackout lasted till after 7pm. 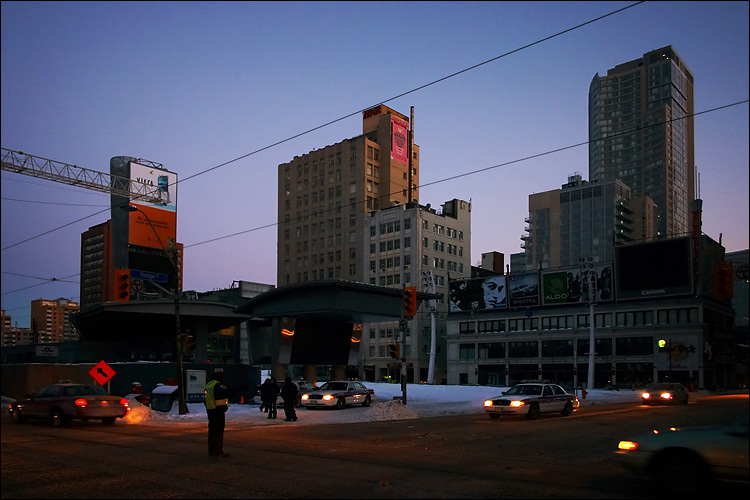 dundas square; another usually crowded and light flooded corner of downtown toronto suffering the blackout. 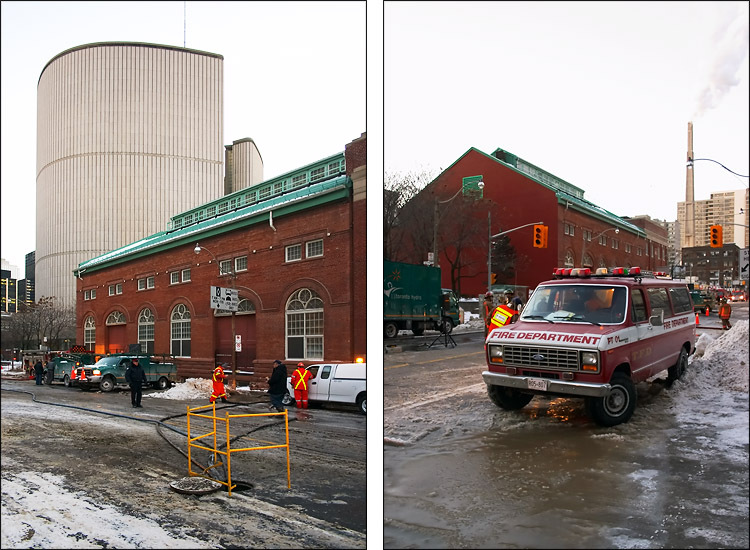 the crew from fire department, hydro and toronto police hard at work to bring back the power on bay street. news: thanks to all of you who nominated ddoi for "best photography of a weblog" at bloggies 2005, ddoi has been once again selected as one of the 5 sites nominated for the category. you can vote untill january 31st. congrats to rannie and matt on their nominations. both from toronto, both excellent photographers.